Since 2003, we’ve been entrusted by thousands of customers to repair and maintain their vehicles. 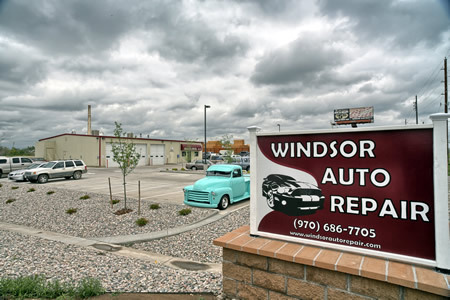 Located at 320 Chestnut St. in Windsor, Colorado, we service vehicles for residents of Fort Collins, Greeley, and Loveland, too. Why do they make the drive to Windsor Auto Repair when their own towns are overrun with auto care specialists? Because we know our business inside and out. We stay on top of the ever-evolving world of auto repair by continually educating ourselves on changing techniques and state-of-the-art technology. And with a combined experience of more than 125 years, our specialists are trained to diagnose and remedy anything that ails your vehicle. Customers come to us because they trust us. If you don’t need something, we’re not going to try to sell it to you. We will never use your inexperience with auto repair to make a buck. If there are options, we’ll offer them. Your trust is paramount; if we can’t earn that, we can’t run our business.